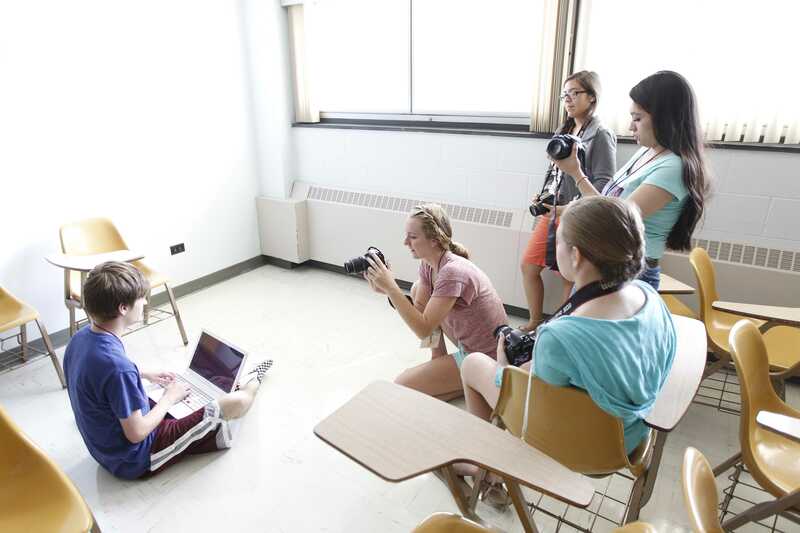 The Kettle Moraine Press Association’s annual Summer Workshop offers a four-day summer journalism camp for high school student media students and advisers for students from across the region. Third week in July at Marquette University. Students enrolled in the Photography Section of the KEMPA Summer workshop experiment with lighting techniques. The workshop combines technology and classroom instruction with specialized sessions to provide all attendees with a unique opportunity to improve themselves and their schools’ student media programs. Each year we offer classes for students and advisers in yearbook, editing, reporting, photojournalism, layout and design and literary magazine. While at SJW students and advisers receive one-on-one attention from award-winning advisers, and choose various special interest sessions that range from teamwork and cooperation and leadership to writing workshop and using social media. KEMPA’s SJW not only provides students with a powerful learning experience, but also a fun, meaningful and supportive environment. Students have multiple opportunities to engage with other students in recreational activities. Student teams work with other campers on teamwork and compete in fun events which may result in the student team winning the coveted “KEMPA Kup”. 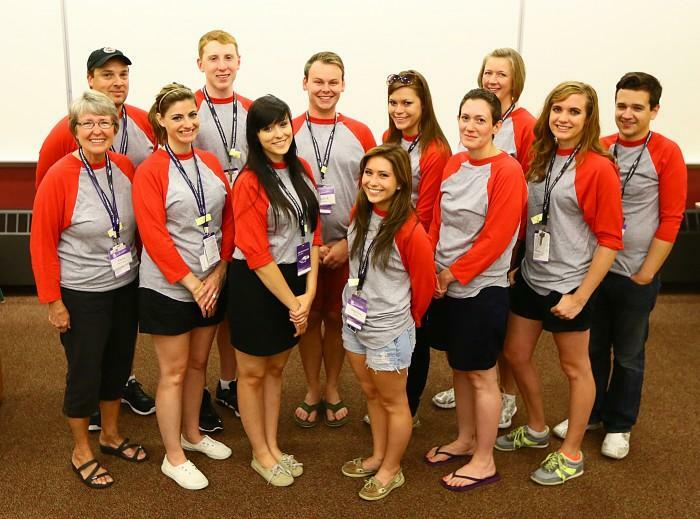 College Journalism students and former KEMPA Summer Workshop attendees act as interns and mentors for all workshop participants. Additionally, college students majoring in journalism and other media fields serve as camp counselors to guide all KEMPA Kampers to success. This unique internship program provides an opportunity for college students to gain experience working and mentoring to younger journalism students, while sharpening their own journalism skills by producing multimedia content about the camp. This dual role provides an exceptional and innovative experience for both the college and high school students. The Summer Journalism Workshop offer high octane learning in a fun way! We hope to see you there! Get the LATEST from the KEMPA Summer Workshop at the following links!